When something grows there is usually a change in size whether that’s internally or externally. When we grow it doesn’t always hurt but even stretching can be uncomfortable. But we can’t go on without growth or we’ll be stagnant and maybe even shrivel. Growth might be uncomfortable but it also gives us more room and when we grow we usually fit what we are growing into better. There are lots of things that we need to grow into. Communication is one of those things…. sometimes painful, often uncomfortable and in the very least can be awkward. 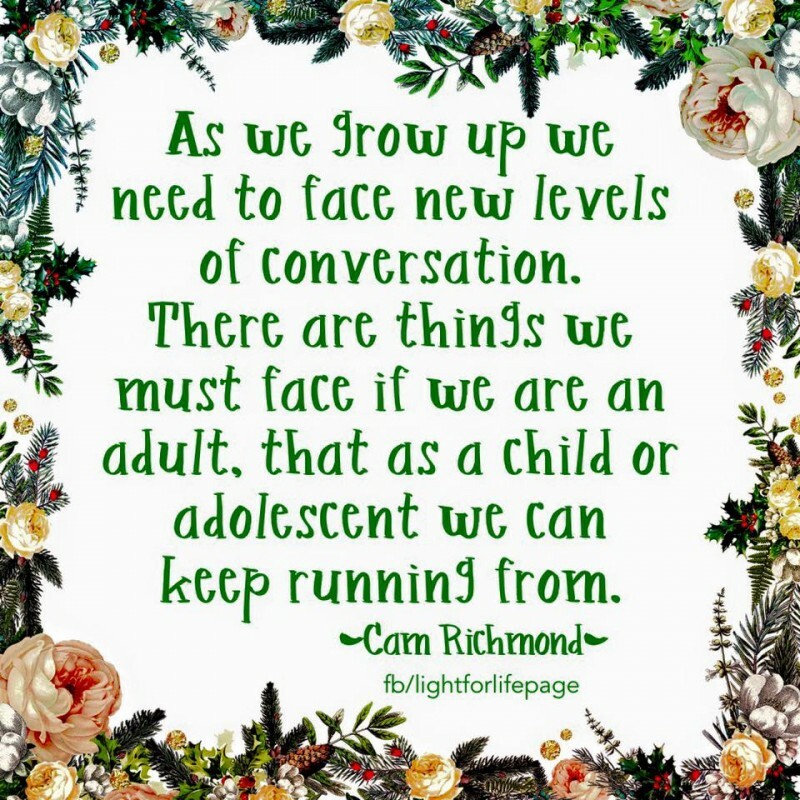 As we grow up we need to face new levels of conversation. There are things we must face if we are an adult that a child or adolescent can keep running from. Often our first reaction is a sharp one, pain hurt, and anger is very common but growing up means we start to learn what needs to be said and how it should be said. We don’t have to yell to be heard or swear to be taken seriously. Simple truth spoken simply is best. Unfortunately we don’t always have that luxury. If we can practice these conversations with the ones we know care for us we can learn how to express ourselves in a fairly safe place before we have to try out communication on a playing field with the risk of copping a ball in the back of the head. When all that’s within you wants to scream or cry in pain, or sadness overwhelms just breathe. Step back first and remember you can be an adult about this and it’s always possible to change! communicate, conversation, Emotion, Friendship, growth, life, maturity, talk, uncomfortable. Bookmark.